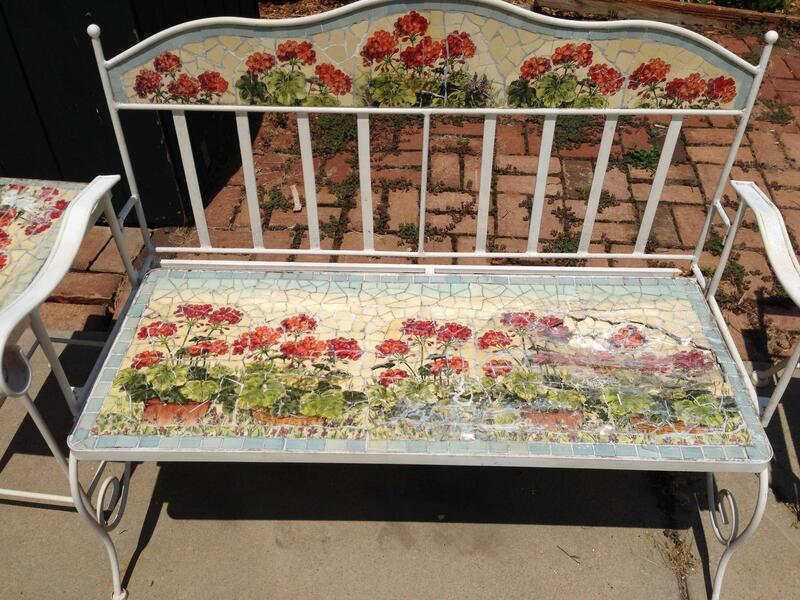 I have a beautiful antique mosaic bench, but the wood base is rotting and I want to repair it if possible. 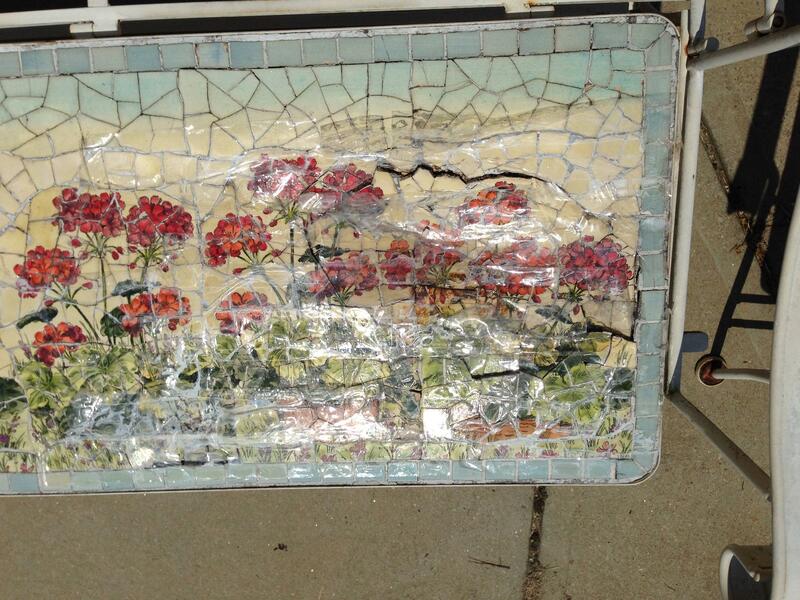 The design is beautiful & I could never recreate it, so I need a way to keep the mosaic top intact while replacing the wood? Any suggestions? 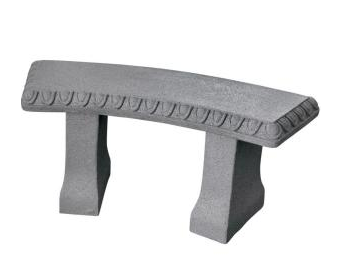 <br>I have a beautiful antique mosaic bench, but the wood base is rotting and I want to repair it if possible. The design is beautiful &amp; I could never recreate it, so I need a way to keep the mosaic top intact while replacing the wood? Any suggestions? Would you be able to upload some pictures? Is the mosaic top set in wood, or is just a mosaic with no frame? 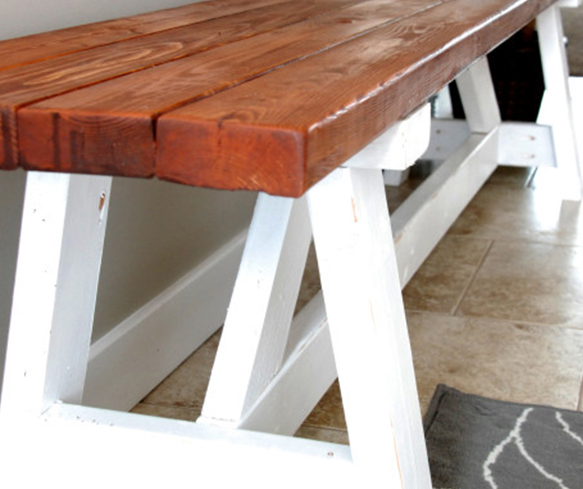 I came across this wonderful post, and instruction on building a farmhouse bench on the Home Depot blog. You may consider using these plans for the construction of the legs for your bench restoring project? You can just make a simple platform top out of concrete board and add you mosaic top to that! I wanted to chime in and see if I could help save a beautiful antique bench. As a woodworker I would cut a piece of scrap plywood as large as the arms and back will allow and then set it on top of the mosaic tile design. You can use small clamps to hold it to whats left of the old plywood. Now carefully flip the bench over. Make sure and put something down to protect the bench. The old plywood looks to be pretty bad so if there is not enough to hold the entire bench in place use another piece of plywood and sandwich the mosaic tile. Lightly tap the back of the bench to get the tile to release. Once you get it to release carefully undo the clamps and lay it flat upside down. If need be add a 1” x 2” on all 4 sides to keep the tile together. 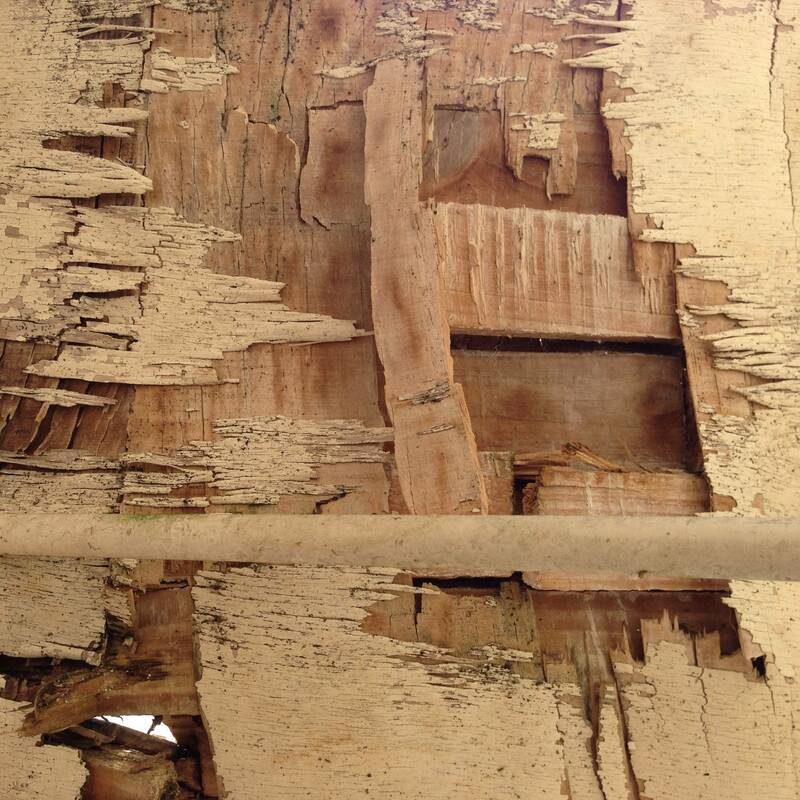 Carefully remove the weathered plywood with a stiff putty knife and a hammer. Cut a new piece of plywood to size. Apply new mastic to the back of the tile and adhere the new plywood to the back. Keep the tile sandwiched and flip it over. Look at all of the tiles to make sure that none of them moved on you. Firmly press all of them into the mastic and make sure they are all level. This can be done with a piece of flat wood and a small hammer. Place the wood down and lightly tap it to level out all of the tile. Install the new plywood and mosaic tile into the bench and either grout or caulk around the edges to fill the gap. Let it dry completely before you use it again. Post some pictures once you get it restored. I would love to see it. Mandy01 your bench is beautiful, and totally worth the time and effort you will have to give to restore it! Thank you so much for the pictures they certainly help us, to help you!!! Christine your advice is great, thank you for "chiming in"! Your woodworking expertise is just what we needed to hear! I would also love to see some pictures of your restoration process! Please let us know if you have any other questions!